Ireland’s unemployment rate has fallen to a nine-year low 6.2 per cent as conditions in the labour market continue to improve. The latest figures show that the number of workers classified as unemployed fell by 4,800 to 135,800 in April, equivalent to an annual decrease of 47,300. The last time employment was below 6.2 per cent was in May 2008. On current trends, unemployment may fall below 6 per cent before the end of this year, which is close to full employment. This raises the risk of the economy overheating. 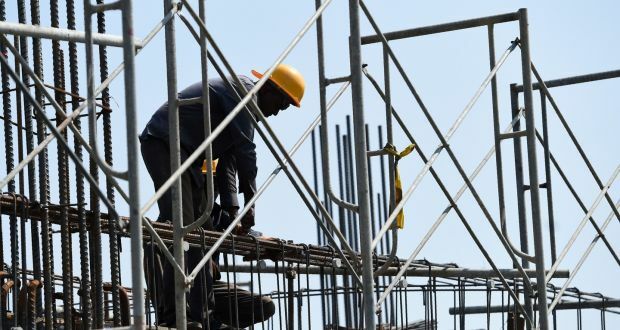 The CSO numbers show the unemployment rate for men was 6.7 per cent in April, down from 9.7 per cent last year, while the jobless rate for women was 5.5 per cent, down from 6.8 per cent a year ago. The State’s youth unemployment rate was 12.9 per cent, down from 13.7 per cent in March.